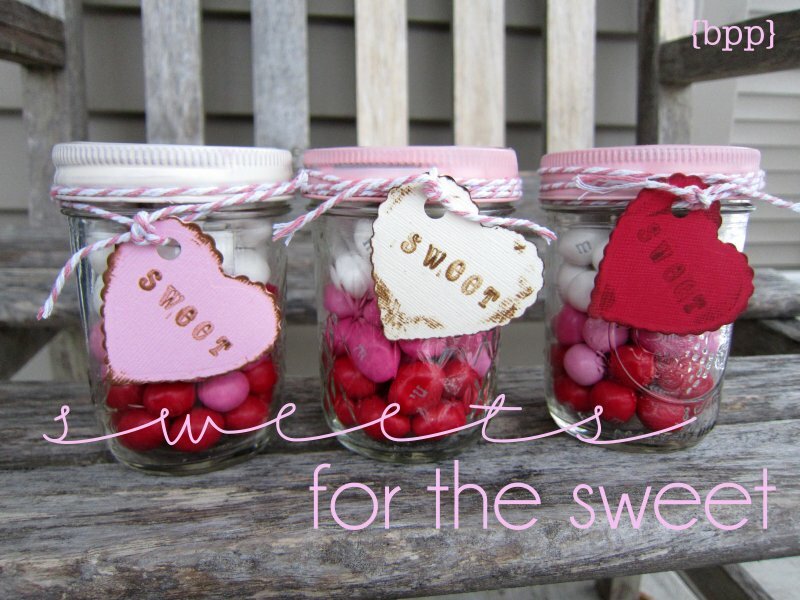 Do you have someone sweet in your life you’d like to give a little something sweet to? 1. 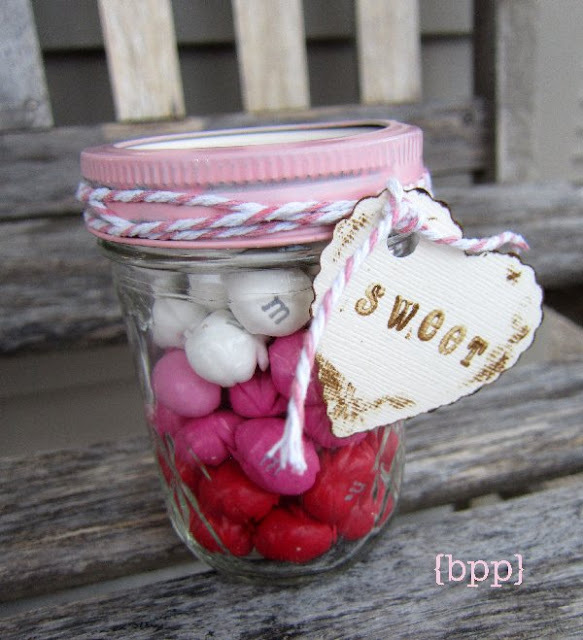 Fill the jar with M&Ms/candy, layering the colors as you go. Two bags of M&Ms filled these three jars, with a few leftover. 2. Spray paint the lids and let dry completely. 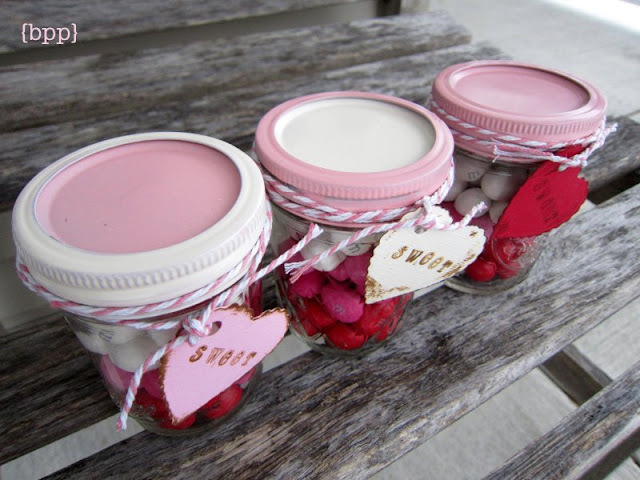 If you’re doing more than one jar, it’s fun to spray the lids different colors, then mix and match. 3. Cut out a scalloped heart, distress the edges, and stamp “sweet” on it. 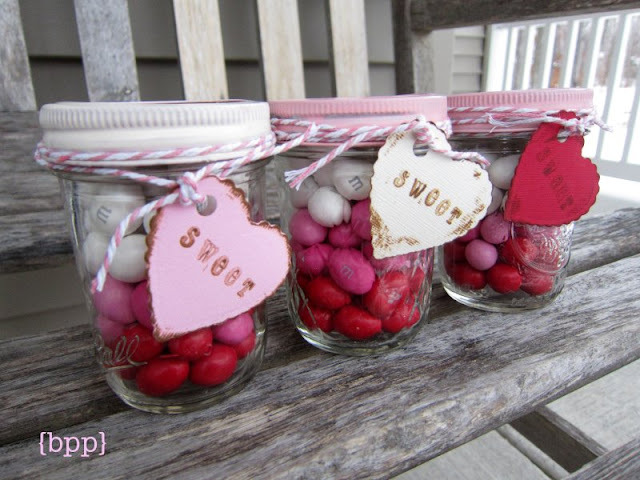 If you don’t have stamps, you can always print out the text on your computer (do this first–then cut out the heart), or use stickers or vinyl. Punch a hole in your tag, then tie it on with baker’s twine/ribbon/jute.